Bread's addictive, as is sugar, then immunity is bust. Heated oils are damaged, to make our liver's whine. coconut, vegies, fruit, natural meat. and goodbye to the flu. Make air freshener by mixing 1 cup of water, 1 tbsp of white vinegar andfavorite essential oil. Robyn O'Brien tells the story of how she started paying attention to what's in food. and it will certainly inspire you to be more deliberate about food choices. My radio, cooking books, large plattters and tea canister all fit in the microwave cubby hole. The answer may surprise you and it will certainly inspire you to be more deliberate about your food choices. and you will have achieved the same effect. You can find many food grade oils that are wonderful for helping you have fresh breath. Nothing in chewing gum is natural. contribute to disease and poor health. perhaps we will see that chewing gum may be as much of a contributor to disease as are cigarettes. "These products contain formaldehyde, which stores in the fat cells, particularly in the hips and thighs. Formaldehyde is an absolute toxin and is used primarily to preserve 'tissue specimens. "Coal Tar Colors (FD&C, D&C) are derived from petroleum waste, research has suggested FD&C Blue No.1 and FD&C Green No. 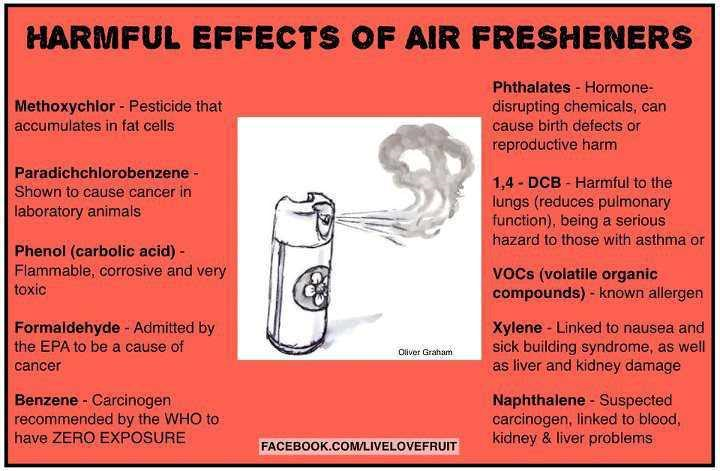 3 are carcinogenic (cancer-causing), and D&C Red No. 33, FD&C Yellow No. 5, and FD&C Yellow No. 6 can contain impurities that may cause cancer when applied to the skin. They have been banned for use in Canada and the European Union. FD&C Yellow No. 5 is also used in foods and is known as tartrazine, and can worsen asthma and breathing problems." "Derived from coal tar, Tartrazine is a lemon yellow azo dye. It is one of the most widely used additives, found in products like Kraft Macaroni and Cheese, Mountain Dew, Doritos, breakfast cereals, candy, chewing gum, jam, pickles, yogurt, vitamins, and prescription drugs. The dye is banned in Norway and the Britain’s Foods Standard Agency has called for a voluntary phase-out of its use in foods due to links to hyperactivity in children." Use vinegar - No smell of vinegar when the laundry is dry. Fill the softener dispenser in washer just as you would with fabric softener.Clothes feel and smell great --And if you want a scent add 10 drops of your favorite essential oil. eg Lavender, rose Lemon. Besides which - softeners clog machine pipes. regardless of the heightened awareness. Plant pests/bugs- use essential oils-teatree, lemon, citrus. put a mask on to sweep the debris, dispose of carefully in a plastic bag. Do not vacuum, as it will contaminate the air and vacuum bag. Many drugs actually increase your risk of illness and premature death, and Plavix is just one of many examples. I grew up with old crop sprays boom bars spraying everywhere..I believe it has damaged my immunity. the active ingredient of which is glyphosate, as well as too many other common pesticides and herbicides is one of the primary environmental factors responsible for causing neurodegenerative disorders in humans." are still fully capable of destroying both human cells and DNA." (NaturalNews) Microwaves absolutely decimate the nutritional value of your food, destroying the very vitamins and phytonutrients that prevent disease and support good health. Previous studies have shown that as much as 98% of the cancer-fighting nutrients in broccoli, for example, are destroyed by microwaving. To understand why, you have to understand the nature of vitamins and phytonutrients (plant-based nutrients). These are very delicate molecules which are fragile. They are easily destroyed by heat, which is why raw plant foods contain more plant nutrients than cooked foods. Carotenoids, antioxidants and other molecules like DIM (in broccoli) or anthocyanins (in purple corn) are all easily destroyed by microwave energy. Microwaves "nuke" your food at a cellular levelMicrowaving is the worst way to cook foods because microwaves excite the water molecules inside whatever you're cooking, causing heat to be formed from the inside out. This results in a cell-by-cell "nuking" of the food (such as broccoli, carrots, etc. ), causing the near-total molecular decomposition of the vitamins and phytonutrients that promote disease. Microwaved food is not merely "dead" food at every level, it is food that has been molecularly deconstructed, leaving nothing but empty calories, fiber and minerals. Virtually the entire vitamin and phytonutrient content has been destroyed. Think there's nothing at all wrong with soy? That it's a veritable health food? "Brominated vegetable oil (BVO) is vegetable oil with bromine added to it. to help the flavors stay suspended in the drink and to produce a cloudy appearance. Just look at Mountain Dew, for example. The hazy appearance within its very unnatural fluorescent color comes from BVO. BVO has been added to soft drinks for decades in North America. Now, some scientists have a renewed interest in this little-known ingredient. Ingesting bromine increases its concentration in your body. As it builds up, it begins to compete with iodine and causes relative iodine deficiency. 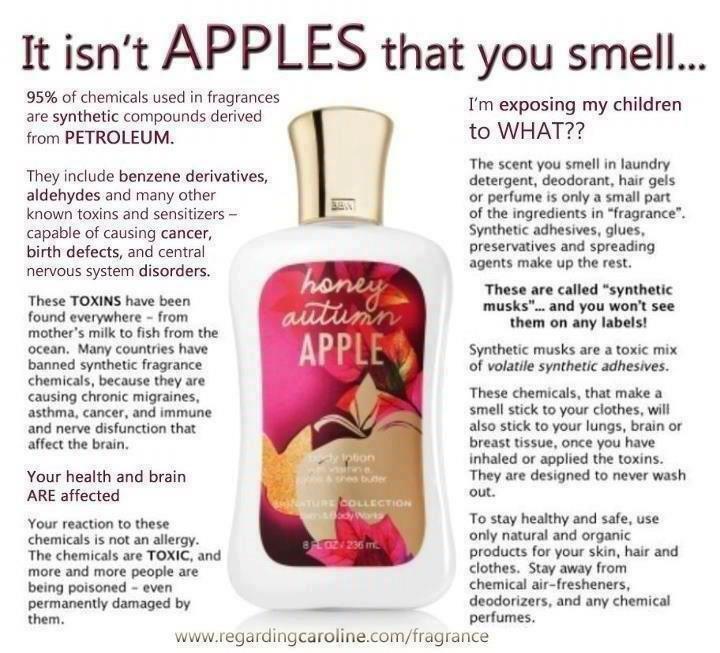 Additionally, bromine is considered a potential carcinogen and causes a number of problems such as headaches, fatigue, and possibly even heart and kidney issues. An interesting condition is called Bromoderma. These are painful skin sores that were first seen in young adult gamers who would consume large amounts of citrus-flavored drinks because of their higher caffeine content. Would you eat something you knew contained unsafe amounts of lead? Would you put it on your lips? The answers to these questions may seem self-evident. 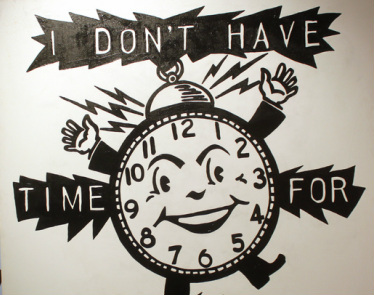 daily may unknowingly be saying “yes” to lead and ingesting it with every touch-up. after all this is where the food that nourishes our bodies is prepared. pesticides, hormones, antibiotics, and other ill-regulated food processes. 1. Invest in glass storage containers. By choosing glass we are eliminating exposure to bisphenols (like BPA) and other potentially serious chemicals that can leach out from the plastics over time. Invest in products that are going to last longer and hold up better than their plastic counterparts which will discolor, deteriorate and warp. be sure not to put lids in the microwave. Instead use a napkin or a plate to cover the bowl. Saving jars to use for refrigerator and dry good storage is a great, no-cost idea. A jar attachment be used with vacuum sealers to get a longer shelf life from refrigerated and dry foods. I have kept ready-made salads good for a week in glass! 2. Choose stainless steel (or cast iron). Choose stainless steel or cast iron pots and pans – not coated, nonstick cookware! 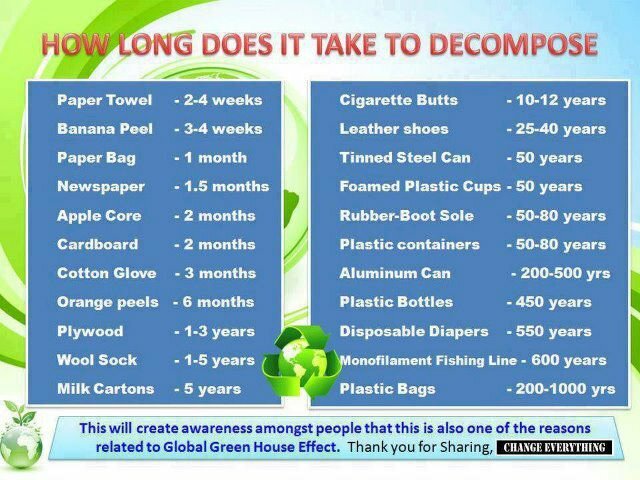 I don’t care how “green” it says it is – stay away from it! There are chemicals in these things and there’s no sense in risking it. Not to mention that those linings chip off and end up in our food. Stainless steel works, it's safe and you can be proud to own – and you don’t have to spend a lot! I picked up my favorite stainless pots & pans a piece at a time, for great prices, at TJMaxx. When choosing a cookware set, be sure that the pans are not lined. I have seen so many “stainless” sets with nonstick coatings in the skillets. this one from Cuisinart is rated well and is just over $100 for a complete set! If your heart is set on cast iron, be sure that it will work with your cooktop before buying! 3. 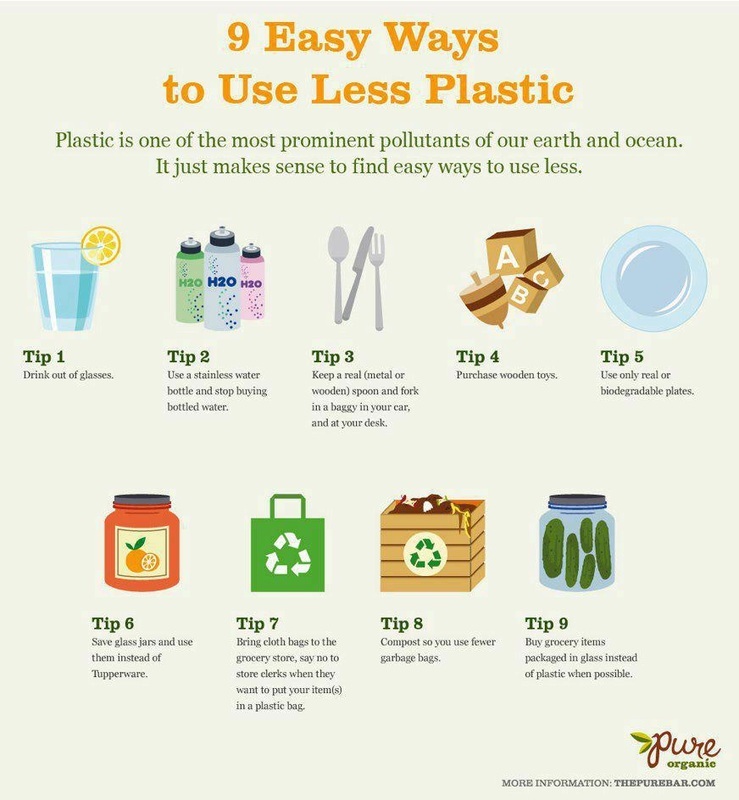 Get rid of the plastic utensils! I am talking about spatulas, spoons, etc. Things that come into contact with heat should never be plastic! We’ve all been there – we seen them melt and warp.- This is not good for our bodies. Ditch these sub-par products and stick to wood, bamboo, stainless steel, etc. they are safe, they work and last a whole lot longer! One of my favorites is a bamboo spatula that I picked up for about $2 in a multi-pack. The spatula with the center hole is my favorite and this set is just over $7! Stainless and wooden utensils are also great, often affordable, choices. 4. 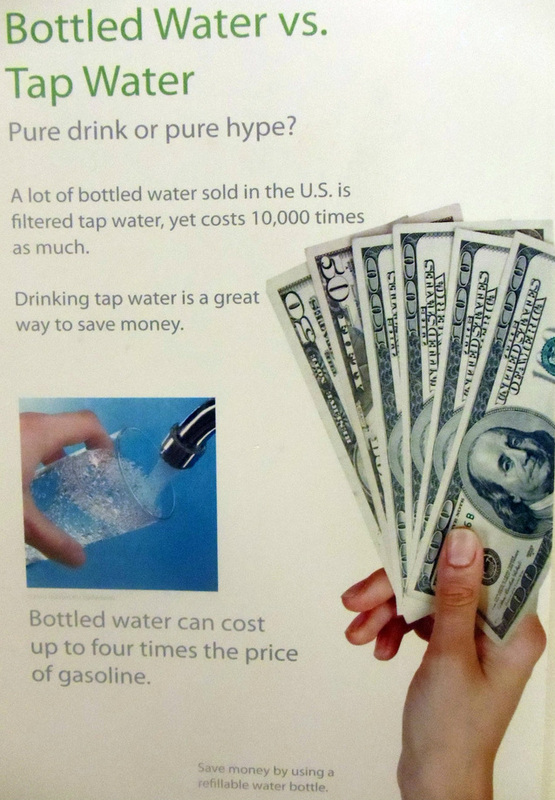 No plastic water bottles! like those from Klean Kanteen. They are fabulous, trendy and will save your health & your wallet! Our favorites are these from Klean Kanteen, any stainless bottle is a good option! you are exposing you and your family to toxic chemicals that don’t belong in your home – let alone in your body. Widely used as a preservative, parabens are absorbed through your skin, blood and intestines. The FDA declared parabens "generally safe for use"
but what they forgot to taken into account is how parbens can be consumed through your skin. Parabens mimic the natural estrogen found in our bodies. Estrogen is a known component in the development and progression of breast cancer. species, 3,000 tree species, 300,000 animal species and thousands more being discovered each year. That's 6 football fields destroyed each minute. 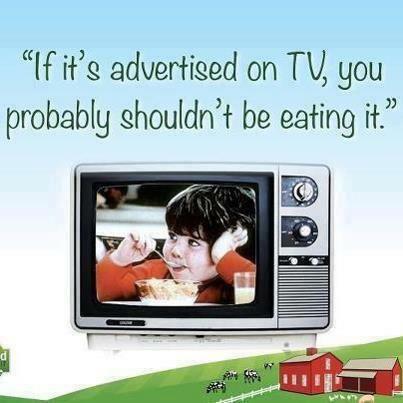 and it is not healthy for the body, so avoiding it does you a favour also. when it comes to sustainable and ethical eating practices. or find ways to make a change when it comes to corporate farming. and inspiring those around them. Expect more from the current state of food processing and production. The problem is so severe that multiple plastic "stews" have formed in the oceans. it's said that there are 40 times more plastic in the water than plankton! 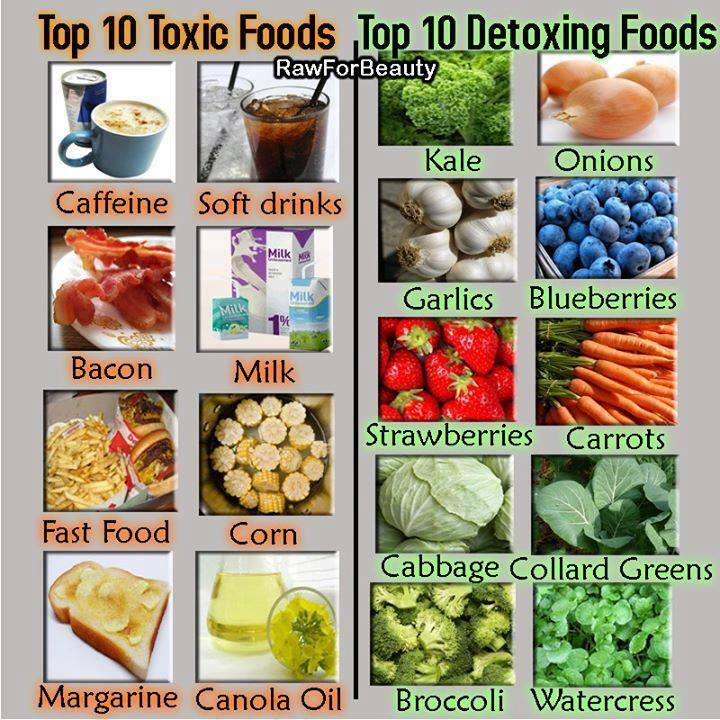 but some of the ingredients commonly found in processed foods can be considered toxic. 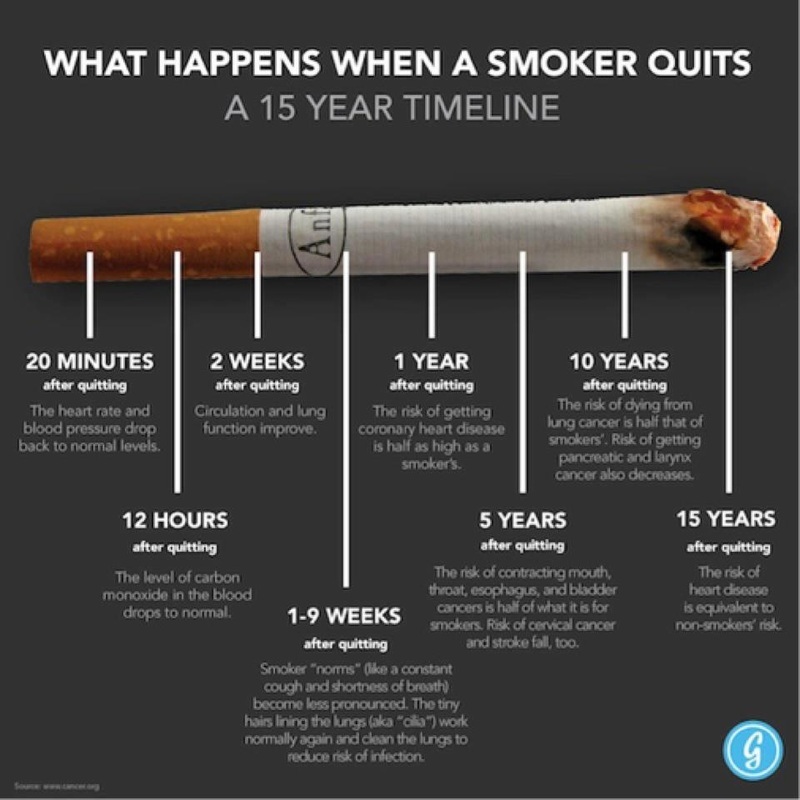 that aren't good for you or can cause harm to your health. 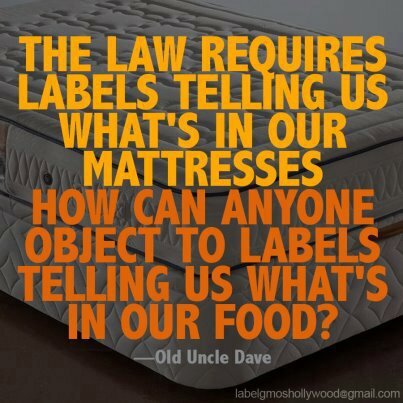 and all the other artificial junk you can’t even pronounce on the ingredient lists. and these foods make up about 60 percent of the average American diet. They’ve taken over, and we have to FIGHT BACK. When a regular fat like corn, soybean, or palm oil is blasted with hydrogen and turned into a solid, it becomes a trans fat. These evil anti-nutrients help packaged foods stay “fresh,” meaning that the food can sit on the supermarket shelf for years without ever getting stale or rotting. Eating junk food with trans fats raises your “bad” LDL cholesterol and triglycerides and lowers your “good” HDL. These fats also increase your risk of blood clots and heart attack. Avoid palm oil and other trans fats like the plague, and kiss fried foods goodbye too, since they’re usually fried in one of these freakish trans-fatty oils. Ditch any food that lists shortening or partially hydrogenated oil as an ingredient, since these are also evil trans fats. In addition to clogging your arteries and causing obesity, they also increase risk of metabolic syndrome. Choose monounsaturated fats, such as olive, cocnut and foods that contain unsaturated omega-3 fatty acids instead. When a whole grain is refined, most of its nutrients are sucked out in an effort to extend its shelf life. Both the bran and germ are removed, and therefore all the fiber, vitamins, and minerals. Because these stripped down, refined grains are devoid of fiber and other nutrients, they’re also easy to digest — TOO EASY. They send your blood sugar and insulin skyrocketing, which can lead to all sorts of problems. Replace processed grains with whole grains, like brown or wild rice, whole-grainbreads, pastas, quinoa, millet, chia and oatmeal. Aspartame (NutraSweet, Equal), saccharin (Sweet'N Low, SugarTwin), and sucralose (Splenda) may be even harder on our metabolic systems than plain old sugar. These supposedly diet-friendly sweeteners may actually be doing more harm than good! Studies suggest that artificial sweeteners trick the brain into forgetting that sweetness means extra calories, making people more likely to keep eating sweet treats without abandon. Nip it in the bud. Scan ingredient labels and ban all artificial sweeteners from entering your mouth. These preservatives are sometimes added to soda to prevent mold from growing, but benzene is a known carcinogen that is also linked with serious thyroid damage. Dangerous levels of benzene can build up when plastic bottles of soda are exposed to heat or when the preservatives are combined with ascorbic acid (vitamin C). BHA is another potentially cancer-causing preservative, but it has been deemed safe by the FDA. Its job is to help prevent spoilage and food poisoning, but it’s a major endocrine disruptor and can seriously mess with your hormones. BHA is in HUNDREDS of foods. It’s also found in food packaging and cosmetics. BHA has many aliases. You can look them up. Or you can follow my advice and DITCH processed foods altogether. No that’s not a typo. These two different preservatives are found in processed meats like bacon, lunch meat, and hot dogs. They’re some of the worst offenders, and they’re believed to cause colon cancer and metabolic syndrome, which can lead to diabetes. Protect your health by always choosing fresh, organic meats. 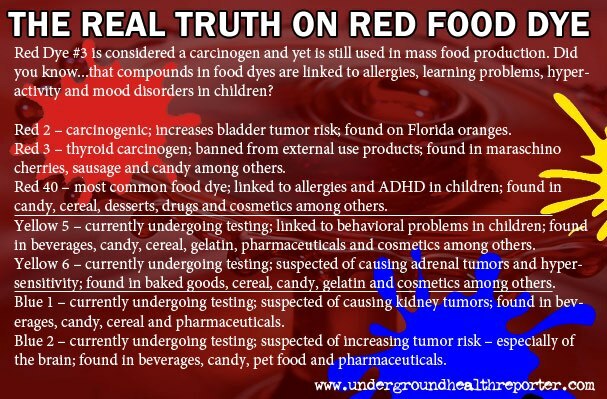 The artificial colors blue 1 and 2, green 3, red 3, and yellow 6 have been linked to thyroid, adrenal, bladder, kidney, and brain cancers. Always seek out foods with the fewest artificial chemicals, especially when shopping for your kids. 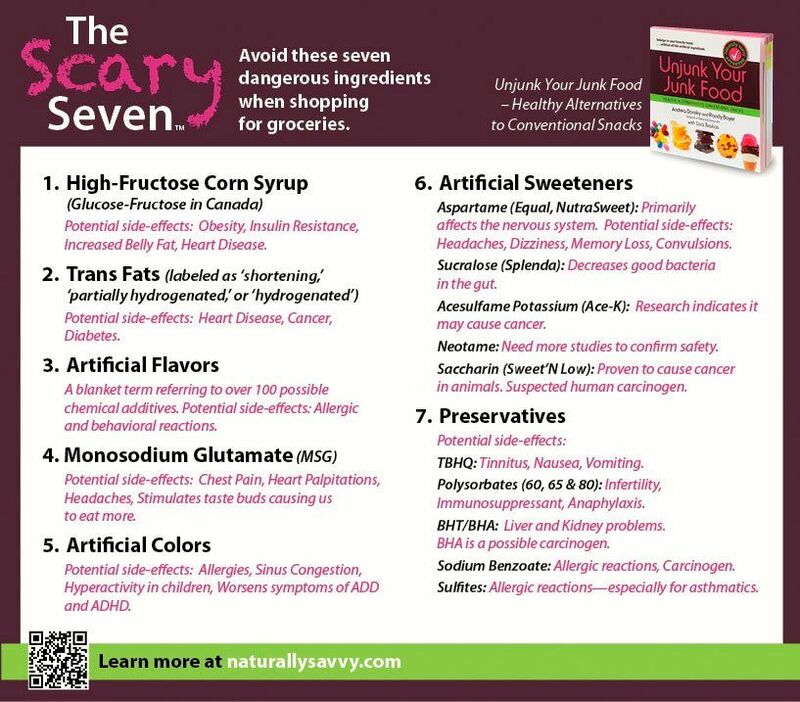 Look for color-free medications and natural food products that don’t contain artificial colors like these. Monosodium glutamate is a processed “flavor enhancer.” While glutamates are present in some natural foods, such as meat and cheese, the ones exploited by the processed-foods industry are separated from their host proteins through hydrolysis. The jury is still out on how harmful MSG may be, but high levels of free glutamates have been shown to seriously screw with brain chemistry. Don’t fall prey to chemical flavor enhancing. Just play it safe and flavor your food naturally. Get daily tips, motivation, and more from Jillian Michaels. Studies are zeroing in on types of pesticides most toxic to people. in studies of American kids with lower birth weight, ADHD and hyperactivity," Lunder said. Another study that the researchers considered showed that conventionally-raised meat treated heavily with antibiotics is much more likely to carry drug-resistant bacteria, Lunder pointed out. However, EWG does recognize that budgetary costs may make it hard to eat organic all the time. 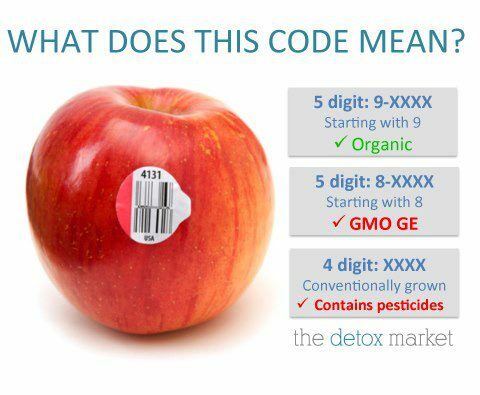 In response, the group has released EWG's 2012 Shopper's Guide to Pesticides in Produce to highlight the foods that they've found consistently have high levels of pesticides. 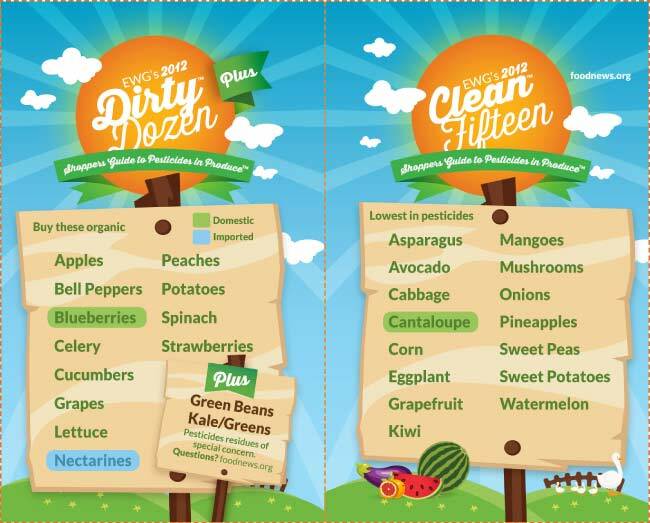 "Dirty Dozen," and the organization recommends choose organic when it comes to these products. have lower levels of pesticides on average. so if we can hone in on the foods that kids are eating, it can make a big difference," Lunder stated. Pesticide Action Network North America today! Big victory! A cancer-causing pesticide, which scientists have called "one of the most toxic chemicals on Earth,"
has been pulled off the market. Tell the USDA to Stop Using Pink Slime in School Lunches! A Solution to Superbugs: On the Horizon? 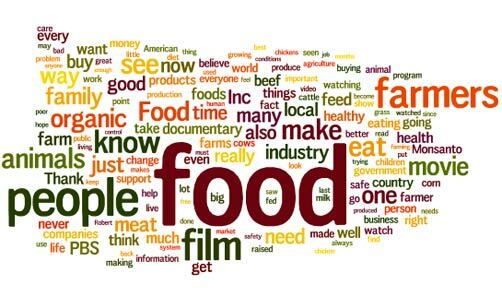 Do you remember Food, Inc.'s Carole Morison? 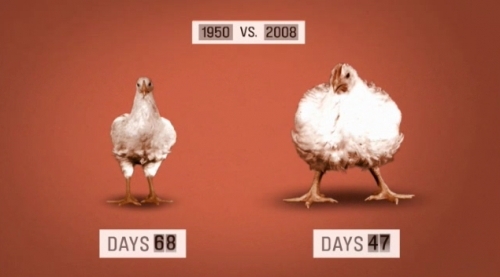 The former Perdue farmer featured in the film now runs a humane, free-range, chicken farm. Stop Farms From Overusing Antibiotics on AnimalsThe USDA is making progress on alternatives to overdosing farm animals with antibiotics. same with toothpaste and cleaning products. Read the labels. Sign a Petition to Give Sodas the Boot! The demand for fructose free products is on the rise! Dr Mercola.com/is the ionizing radiation from airport-body-scanners safe? and certain cosmetics, as well as furniture, kitchenware, clothing and toys. It would be wise to seriously avoid ANY product that contains triclosan as an ingredient on the label, not only because of the new muscle function finding, but also because of its potential impact on hormones/thyroid. they can “truthfully” claim “No MSG added” on their label. Yet, nothing is stopping them from adding ingredients that contain MSG. not the ingredients within those ingredients. Because of this little-known fact, another ingredient on this label should give us pause: flavoring. Furthermore, the process used to create the dried whey produces — you guessed it — MSG! would convince the savvy label-reader that MSG is certainly present. Why is that? 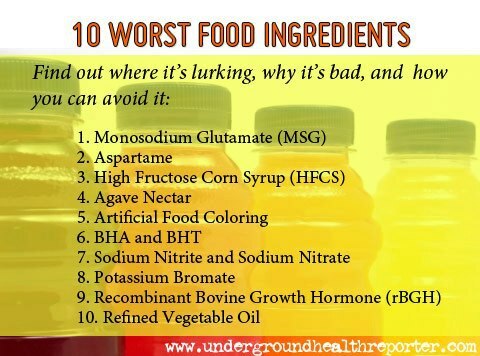 Because these food additives are completely ineffective and useless without MSG! These are flavor enhancers that work in conjunction with MSG. Aside from all the MSG-containing and complimenting ingredients, the rest of the label is spotty as well. Corn syrup solids? Hello, highly-refined, genetically-engineered corn! Sugar? have no place in the Real Food kitchen. Want Some Turkey With Your Salt Water? Alcohol is a depressant, despite feeling good at first, in the long run, it lowers our 'happy brain chemicals' that we need to stay sane in our lives. Read these articles, and make an informed decision. ie if veg is cooked in water, they lose the most nutrient. The vast majority of food products are created and controlled primarily by a handful of multinational corporations. These companies are disguising themselves under a wide range of different brands. It's a dangerous thing that we're letting so few corporations essentially control the global food supply. Their sole focus is their bottom line - profits. Health is overlooked in the drive to supply the cheapest food possible. 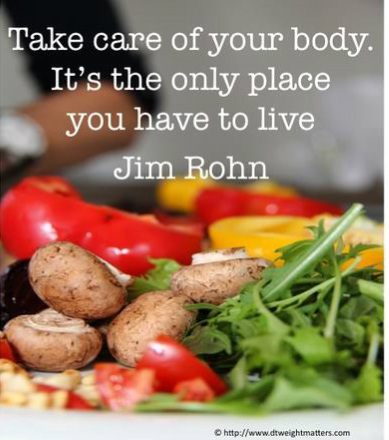 I encourage you to take your health and your power into your own hands. Small acts of self-sufficiency go along way. Next time you're thinking about buying a box of cereal, try making a homemade granola instead. There are so many ways that we can be less reliant on the system and more independent. Growing herbs on your window seal, making fermented foods for the winter months...It's also super fun to learn how to be creative and self-sustainable. feeling better about ourselves, and eating organic foods.